Solo exhibition. March 2016, Art Space on the Concourse, Sydney. Gary Shinfield’s exhibition of woodcuts and linocuts printed on large sheets of Chinese paper features two recent bodies of work made in different parts of NSW – the Oxley River in Northern NSW and the gardens of the upper Blue Mountains. The works explore the notion of ‘the journey in search of connection with place’. 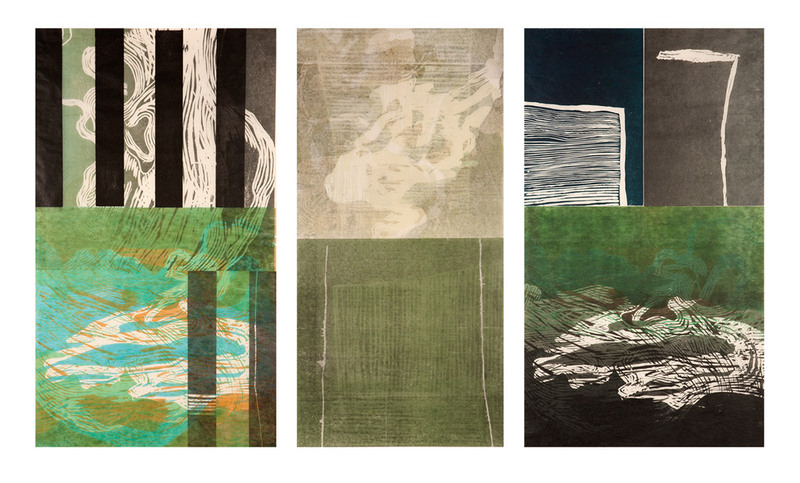 Enclosure and the river triptych, woodcut and linocut on handmade Chinese paper, 120 x 60 cm each image, unique state prints, 2014. 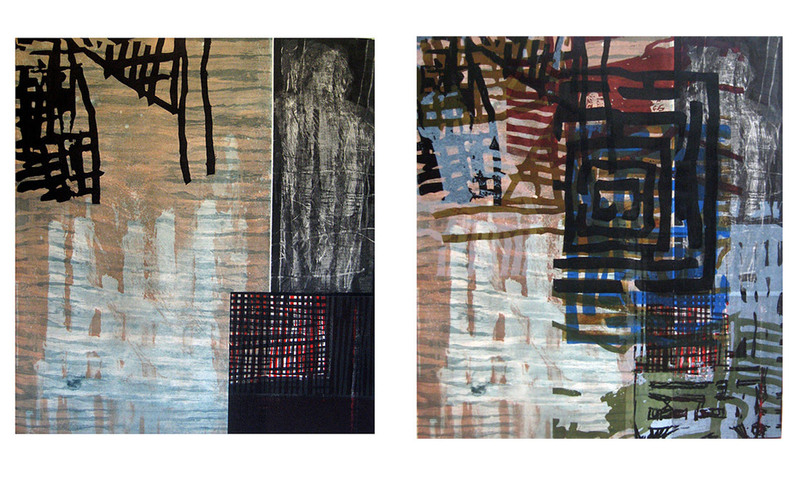 LEFT: The Game, mixed media print on paper, 77 x 70 cm, edition ¼, 2015. RIGHT: End Game, mixed media print on paper, 77 x 70 cm, unique state print, 2015.